I’m starting to dislike the commercialism of the holiday season, but I love Christmas movies. And as long as I still own these DVDs and a DVD player, my family and I will watch at least five of them each year. The film has to have one of three criteria, though: (1) It has to be funny; (2) It has to be authentic; or (3) It has to be inspirational. Funny Christmas movies are the best. My favorites are probably similar to other people’s. A Christmas Story and National Lampoon’s Christmas Vacation are two that I will not only watch each year, but also laugh at as if it’s the first time I’ve seen either one. Humor is subjective though. While Clark Griswold’s antics are both absurd and comical, Billy Bob Thornton’s role in Bad Santa is not. I mean I laughed, but I don’t want to see Santa cussing kids out and acting crazy. It’s just not aligned with the holiday spirit. Authentic Christmas movies are relatable. Who doesn’t have a crazy family member who has predictable and perhaps dreaded behavior? 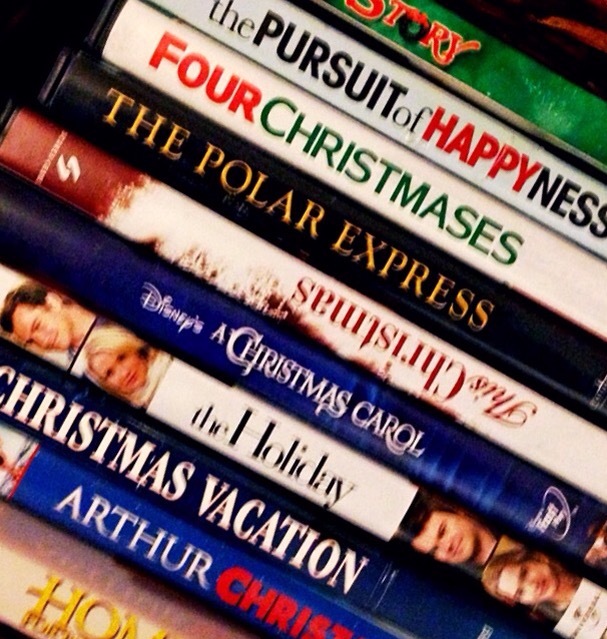 Also, each film seems to accurately portray the stress encompassed during the holidays. Coming home to family that doesn’t really know you because they haven’t seen you all year, or hanging out with family that treat you as if you’re a perpetual 12 year-old are common and real experiences. That’s why I always kick-off my holiday season with Home for the Holidays. Okay. I know I said Christmas movies, but the Thanksgiving theme is perfect to begin the following five weeks because it’s such a real portrayal of awkward family interactions. Four Christmases is another great one because it depicts two people who have avoided going home, but eventually have to. The experiences they have are priceless. Inspirational Christmas movies probably speak for themselves. They always make me feel warm and fuzzy at the end. These movies perpetuate an idea of hope. A Christmas Carol, the Jim Carrey version is my absolute favorite. That’s what the world wants, right? Hope. Most of us want to believe that people are capable of transitioning from old and crochety characters to free-spirited and giving human beings. The Santa concept is similar. Although I know Santa is not real, I enjoy watching Polar Express, especially the part where they all gather in the town’s center and sing “Santa Clause is Coming to Town.” The inspiring part is the act of believing in something greater than oneself, which I also tend to believe is a common human experience. Wouldn’t it be wonderful if there were some jolly old guy who made everyone’s wishes come true? I’m not sure about the other 47 weeks of the year, but if you happen to stop by any weekend between Thanksgiving and Christmas, then you’re bound to join me in watching one of these films. What’s your favorite Christmas movie? I’d love to ooh and aah about it with you in the comments. White Christmas! Sometimes you have to watch them just because its like a tradition. I am a bit late posting! National Lampoon’s Christmas Vacation is such a laugh. I am really into classic movies, so I also love Christmas in Connecticut, Miracle on 34th Street, and so on. My mother absolutely LOVES Hallmark Christmas movies and she watches them year round haha. Whoa… so, so behind… I’ve heard that Polar Express can be creepy and my kiddo has a low tolerance for being scared. That’s why I’ve always avoided it. Off to go find posts you made in the early 2000s and comment on those now. Ha! lol oh yeah, I forgot about that part…it is a little weird with a ghost and a fight on top of the train. My mom used to lovvvvveee National Lampoon’s Christmas Vacation. I remember being a little girl, sitting on the couch to watch it with her every year. ❤ Good times! I like the criteria you lay out here. In order for a Christmas movie to be enjoyable to me, it has to be funny. The humor takes me mind off how commercial it is! Home Alone 1 may have been the last great Christmas movie I saw. Really??? I might have to introduce you to some other Christmas movies Darryl lol That was a loooong time ago! Lol I am stuck in a time capsule for everything entertainment. The golden age of everything was the 90s: Tupac, Biggie, young Nas … same goes for movies lol. I no longer celebrate Xmas for a number of reasons. Mainly spiritual, however I still will watch some of the movies. I’ve always like National Lampoons, Home Alone, and others. I also like Polar Express. I understand what you’re saying. Love those movies. Forgot all about the Hone Alone series. The first was the best in my opinion. The first was definitely the best! I’m not really into re-watching most movies. I do love the new ones on Hallmark and Lifetime this year, and try to catch each new one. I especially have enjoyed this year the Christmas List, My Christmas Love, A Nutcracker Christmas, and A December Bride. As for other movies, it’s been a while since I’ve seen something. I was watching the end of Polar Express the other day though and thought what a sweet movie it is and with an inspiring ending. Thank you! I hope you have a Merry Christmas as well! I wanted to add that the Holiday is a wonderful movie too. I watched it quite a bit while recovering from surgery back in 2009 and it kind of has a special place for me for that reason. You omgosh! I do like that one. Is that where they swap places and the person falls in love? Yes! It’s such an adorable movie! I Googled the movie. I’ve never heard of it Patty! But now that you’ve mentioned it, I’ll have to give it a look. Maybe I’ll have to do a Christmas music post next year! Make sure you watch the original, I think it was with Romy Schneider as Sissi. hahahaha Does he sings out loud? I enjoy watching the Hallmark Christmas movies. No seriously, I loved this! You actually gave me a couple of new ideas. BTW, this is random, but my mom nicknamed my dad “Clark W. Griswold” because he is the goofiest black man on Earth! As for “A Christmas Carol,” I have a obsession with watching every variation of that movie! The message is so freaking relevant! Even after all this time! I love the Jim Carrey version as well as the traditional ones but I also love the one Vanessa Williams did and the one with Cicely Tyson. lmao too funny all the way around. I cannot imagine that you have a corny dad!!! Vanessa Williams has a rendition of A Christmas Carol? Is she the main character/Scrooge? I think maybe I have seen it. As for Daddy, he is corny at home but most people see him as a cool dude–kinda like his nephew Ron. Vanessa Williams’ (She was “Scrooge-esque) did a VH-1 special called a Diva’s Carol or Christmas…something like that. Uh, no ma’am I had no idea Cicely Tyson was in a version. When I tell you I’m obsessed…dammit I mean I am OBSESSED…LOL!!! I love Family Stone and Polar Express! We love The Santa Clause here too! The Santa Clause is a good one, but I’ve never been fond of movies that are partially real/partially fake. Like, I need the movie to be totally unbelievable or all the way believable. Just discovered that about myself as I was typing this to you. Christmas movies are a great tradition to bring family together. Great post!!!! Love Christmas & Christmas movies – Hugs Chica! Nothing like a Christmas movie to help put one in a Christmas mood! I enjoyed your article, thank you! Thanks for the read! And Happy Holidays! I still don’t enjoy them as much as you do but I like the Funny ones the best.